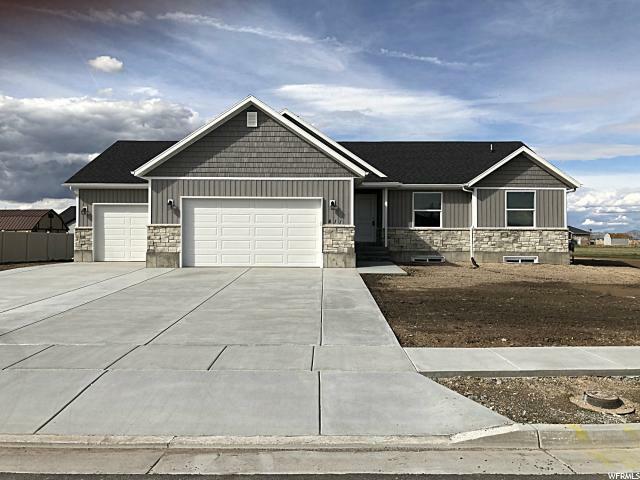 All Tremonton homes currently listed for sale in Tremonton as of 04/18/2019 are shown below. You can change the search criteria at any time by pressing the 'Change Search' button below. 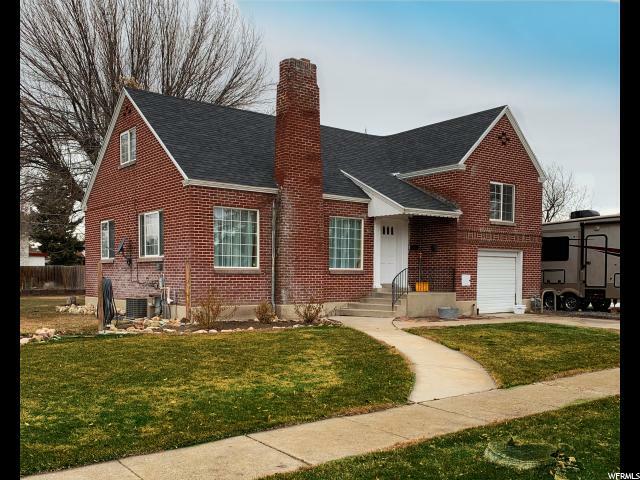 If you have any questions or you would like more information about any Tremonton homes for sale or other Tremonton real estate, please contact us and one of our knowledgeable Tremonton REALTORS® would be pleased to assist you. "Fabulous 12.30 acre parcel! Zoned for 10,000 sq ft lots. Subdivision access is off 2300 West. Located close to schools, interstate on and off ramps, and Main Street. Incredible subdivision locations. Secondary water is included. Seller is motivated and wants it SOLD." "*NEW PRICE - ADDITIONAL LAND ALSO AVAILABLE FOR PURCHASE! 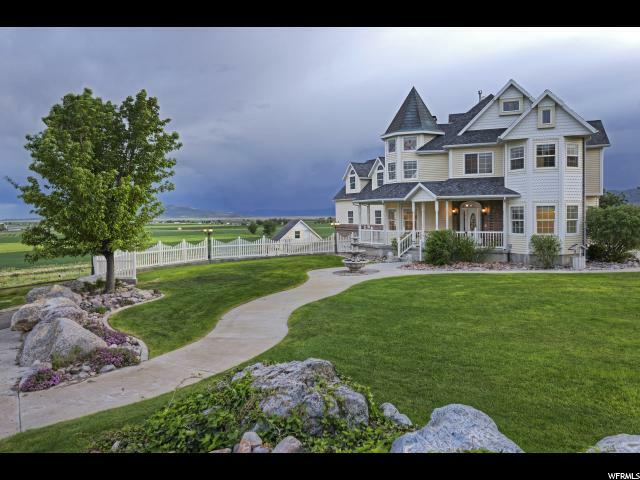 * This incredible 2 acre, 5 Bedroom, 4 Bath luxury Victorian estate was designed to capture the imagination and the sweeping views of the Bear River Valley and surrounding mountains. The gorgeous custom crown moldings, hand-carved staircase, stained glass windows, custom oak fireplace front hand-crafted out of an 1890's Salt Lake Avenue's Mansion, and detailed styling are apparent throughout the home. The gourmet custom Honduras Mahogany kitchen with hardwood flooring, premier appliances and granite counter-tops will please the most discriminating cook. The lower-level walk-out with 10 ft ceilings, 2nd kitchen and family area makes it suitable for all occasions, from entertaining family to relaxing on the amazing circular decks and 4 patio areas, or enjoying the indoor theater and game room. The Master Bedroom en-suite with a large walk-in closet was designed for maximum luxury , tranquility, and organization and includes a custom Cherrywood antique fireplace front hand-crated out of Boston in the 1890's. All of the walk-in closets throughout the home are customized with built-in organizers and all bathrooms include granite counters. In addition to this beautiful home that was built with love and no detail spared, is a 6 car detached garage/portico with a 1,200 sq ft two bedroom apartment complete with kitchen, laundry, and 3/4 bath; an RV docking station, & well rights. And if that isn't enough, this estate includes a state-of-the-art massive 2-story heated and cooled, indoor/outdoor dog kennel ready for your business opportunity (with a second same-size adjacent kennel currently used for storage). Schedule a private tour today!" 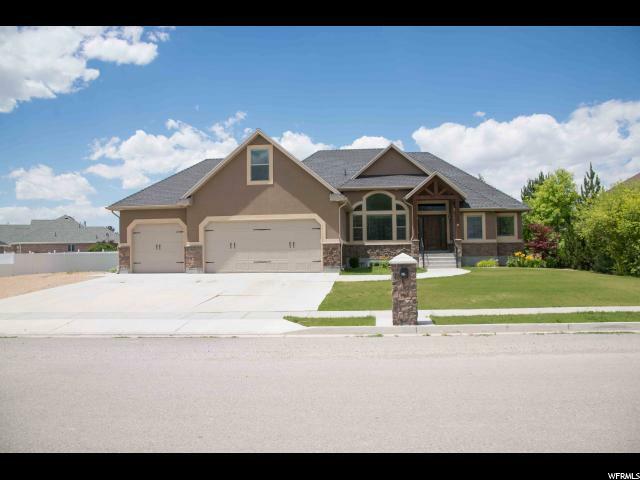 "Beautiful custom home with all of the extras! This home features a gorgeous large kitchen, amazing layout, main floor living, large deck, beautiful views and so much more! This home is a must see!" "IMMACULATE! This two-story home will amaze you. It has grand views and large open rooms. Double entry doors lead you to a vaulted formal room with maple wood floors, 2 story fireplace, beautiful wood stair railing and full views of the Valley. Special features also include central vacuum system plumbing, ceiling fan, double oven, pantry, granite counter tops, set up for 2 stackable washer/dryer units, fully landscaped and auto sprinkler system. Serious buyers please call or text for your private tour." 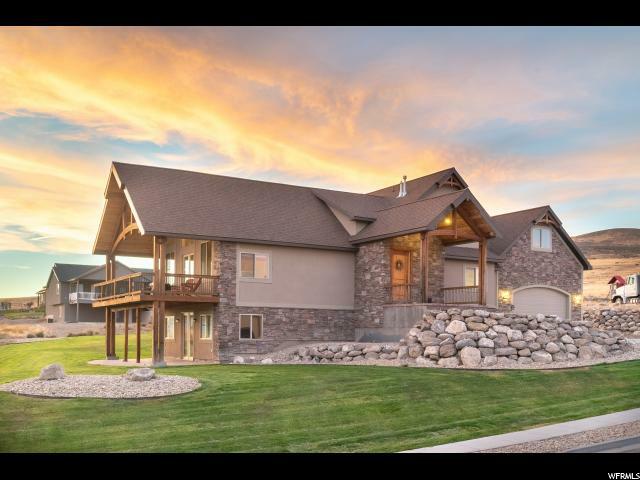 "This custom built home has all the bells and whistles. It features 6 bedrooms, three bathrooms, a living room, two family rooms, and two offices (one currently set up as a salon). The finishes are beautiful with travertine stone and granite featured in the kitchen and bathrooms. The home has immaculate landscaping with views of the mountains and river. Located on a secluded street, this neighborhood is peaceful and friendly. This is a Smart Home with a security system that includes remote lock and thermostat controls from a computer or phone. There is surround sound wired in great room and the garage. This home also has a walkout basement, 2 water heaters, and a 95+% efficient furnace. " "Beautiful being built in Larkin Estates. This home sits on .74 acres. Come and enjoy this rambler with a full basement. Bring all of your toys and park them in the huge 4 car garage. The garage is extra tall so you could put a car lift in or pull your rv in and keep it out of the weather. You'll enjoy the warm summer night sitting on the back covered deck looking out on the big yard and great views of the mountains off in the distance. 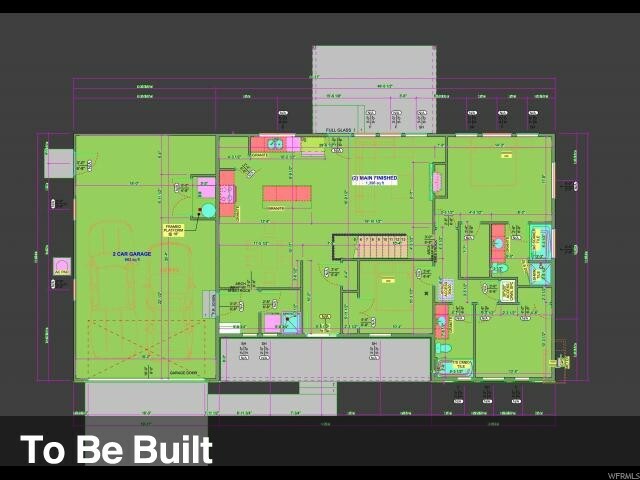 Come and check out this home and if you come soon you can pick all the colors ." "Come check out this awesome home with great views. The home is almost ready for you to pick all your colors. The master and laundry are located on the main floor and 3 more bedrooms on the second floor. The kitchen has some room for all those family parties. You'll love the garage. Room for your cars and all the toys. The back patio is covered and so is the front. Come check out this awesome home in Spring acres." "HOME IS NOW COMPLETE AND MOVE IN READY! 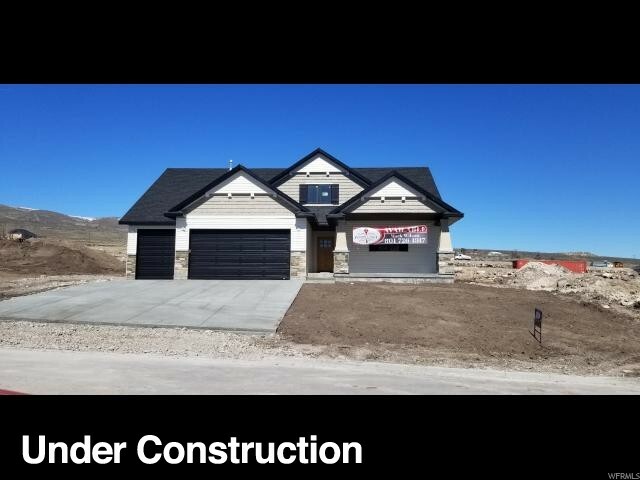 Spectacular NEW CONSTRUCTION home in Tremonton! HUGE 3-car garage, extra width, extra depth, extra LARGE! ENORMOUS great room! Kitchen features granite countertops, water resistant laminate flooring and custom cabinets! SPACIOUS master bath & walk-in closet! Call today!" "This Single Level Living plan to be built in the New Phase of the Holmgren East Subdivision. Extra Deep Garage with a roll up door to access the back yard. Beautiful Master Suite, Open floor plan and super large pantry." 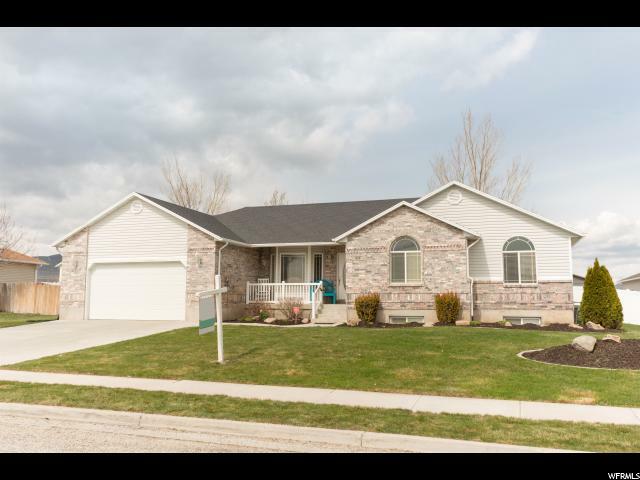 "**BEAUTIFUL HOME IN QUIET NEIGHBORHOOD** HUGE GORGEOUS RAMBLER IN TREMONTON! Open Floor Plan Featuring A Huge Great Room, Formal Dining Room, Family Room, 6 Bedrooms, 3 Full Bathrooms, Master Suite With Separate Shower & Jetted Tub, Main Floor Laundry With Huge Mud Room, Fully Fenced Yard With Patio, Park Directly Across The Street & SO MUCH MORE! Call To Schedule Your Showing Today! " "Take a look at this BETTER THAN NEW west facing home with a 3 car garage and a walk out basement!!! BIG LOT with ANIMAL RIGHTS in the city and a private drive that sets this home back off the main road. 4 bedrooms complete (2 more framed in the basement) and room to grow in the remaining unfinished portion of the basement. Sprinkler System and Shallow well for watering will be finished up prior to closing. Schedule your showing TODAY!!!" "HOME IS NOW COMPLETE & MOVE IN READY! 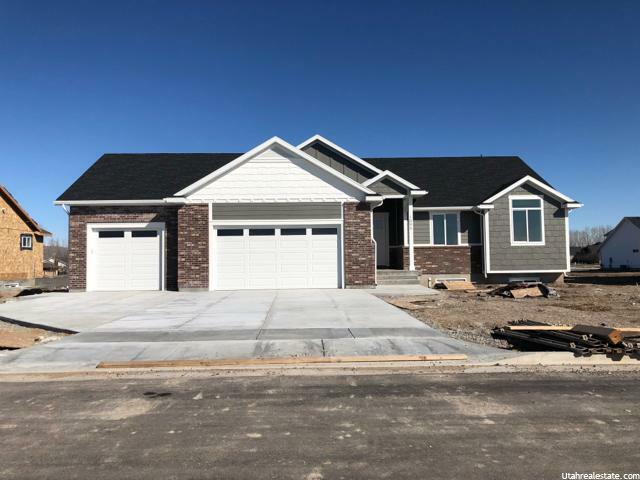 Spectacular NEW CONSTRUCTION home in Tremonton! HUGE 3-car garage, extra width, extra depth, extra LARGE! ENORMOUS great room! Kitchen features granite countertops, water resistant laminate flooring and custom cabinets! SPACIOUS master bath & walk-in closet! Call today!" "Newly updated home with brand new exterior, flooring, master bath, windows, kitchen, new paint, and lots of other things. Huge garage. Located in the county with less taxes and more freedom. Remodel is almost complete. " "This home is clean and ready to move in! 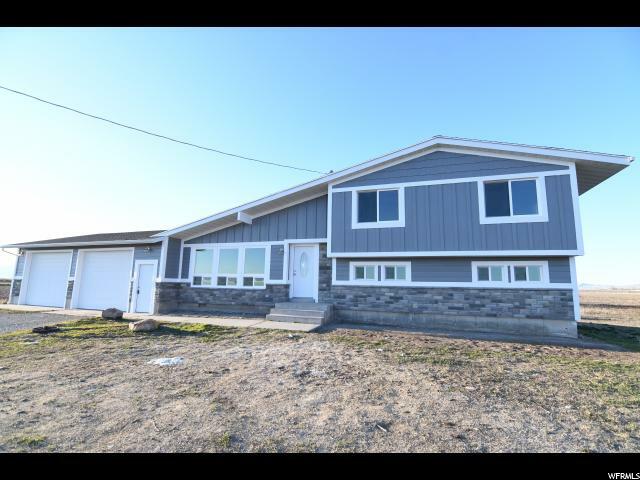 Home recently updated including huge fenced rv pad, brand new fence, brand new finished basement, theatre room with 7.2 surround sound, Utopia internet hooked up, granite countertops, LPV flooring. Home has a yard and is better than new. Includes huge bonus room above the garage! South facing home on a dead end cul-de-sac." "This is a must see! 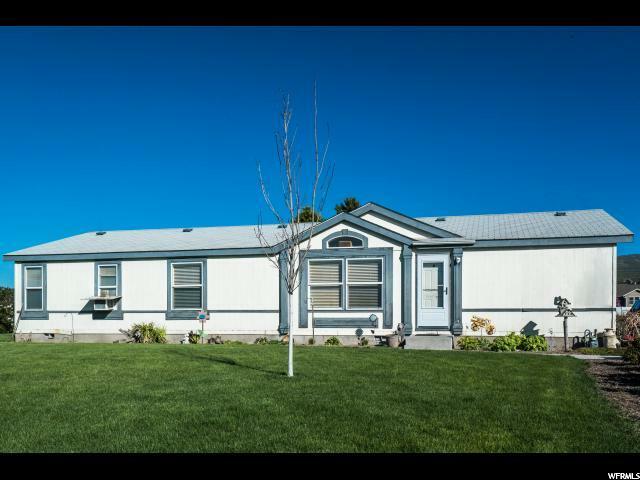 Very nice, clean, well-maintained, and updated 5 bedroom, 2+ bathroom house on 1.7 acres in Tremonton. Lot could be subdivided, Horse property, Pictures just don't do justice, With awesome view of the valley and mountains, it's country living at it's finest surrounded by peace and quiet but yet close to town and schools. 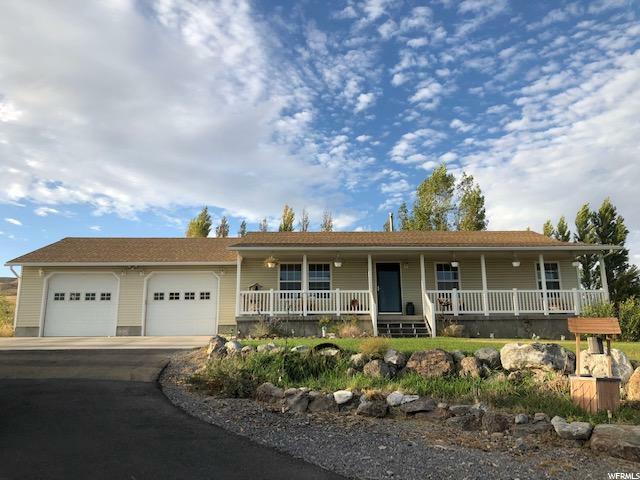 House has bright open layout, vaulted ceilings, spacious kitchen with stainless steel appliances, extra large 2 car garage, Fully automated sprinklers, tuff shed, RV parking, and plenty of room in front and/or back for shop, garage, barn, horses, fire pit, garden and/or fruit trees. New paint, carpet and tile, new water heater, upgraded central A/C, water softener, filtered drinking water system, roof recently re-shingled and so much more!" 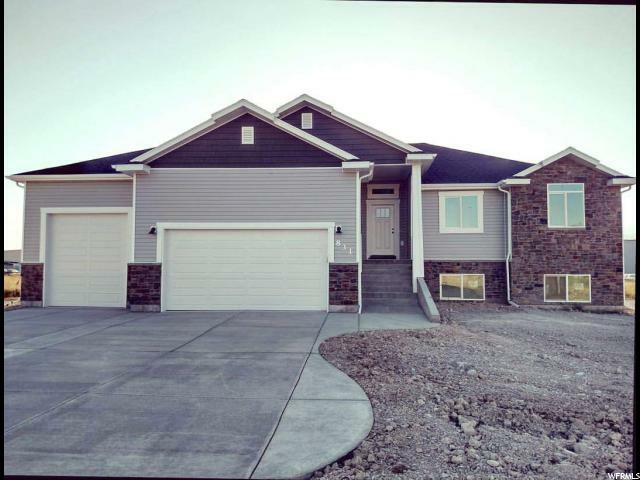 "Rambler, 3- Car Garage, 3 bd-2ba with White Cabinets & Quartz Counter tops throughout. Vaulted ceilings with 9' bedrooms. Master- chamfered ceiling. LED lighting throughout home. Wall Wainscoting in all three bedrooms. Master-oversized walk-in shower/soaker tub. Covered Deck off Dining room. 3-5 minutes to I-15 Freeway. " 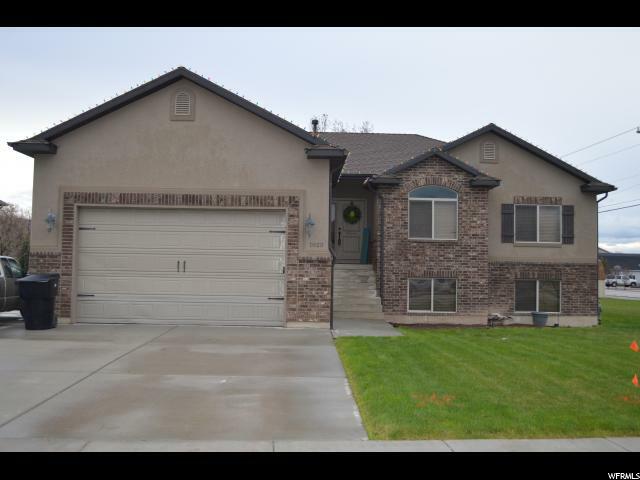 "Gorgeous Rambler style home with Extra sized 4 car garage located in Prestigious Holmgren East Subdivision in Tremonton.. Only 2 years old and still looks new.. Excellent split layout with the Master bedroom suite on one side of the home and the guest bedrooms on the other. Great open floorplan with lots of extra upgrades: Custom Alder cabinets with Granite Countertops.. Bathrooms have full TILE surrounds on shower and tubs. Large one-third acre lot with view of the mountains. Pride of Ownership shows in this subdivision. No HOA here. Please call Realtor to see this home today. All information provided as a courtesy-buyer to verify all." 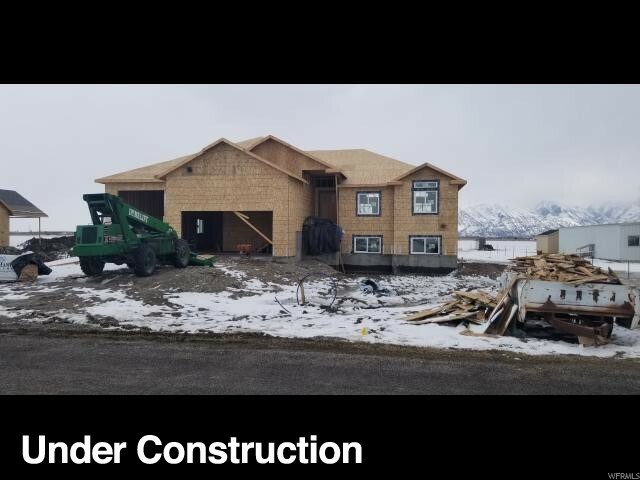 "This wide open - floor plan is to be built in the New Phase 7 of the Holmgren East Subdivision and boasts an extra deep garage, Large and open kitchen/Dining/Great room. Laundry on the main and a beautiful Master Bedroom Suite. Call for more details. " "Beautiful home in great location for country feel but still convenient to city amenities. 4 bedrooms and 2 full baths. Master suite with spacious soak tub, separate shower and walk-in closet. Gas log fireplace in comfy great room. Redwood deck off dining nook for Summer evenings. Come take a look before it is gone!" 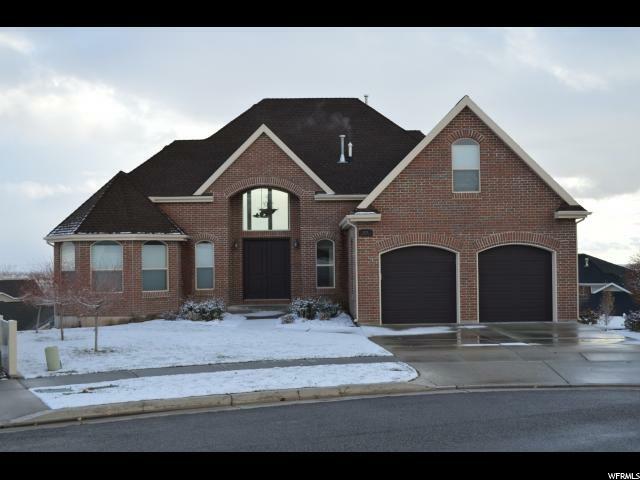 "Spacious Two Story Home in Prestigious Fridal Heights Tremonton. 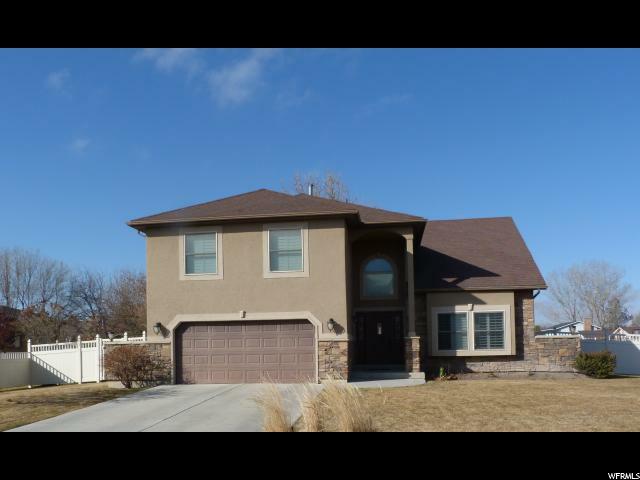 *Over 4000 Sq Ft with 4 bedrooms, 2-1/2 baths** Updated in 2014 including all Stucco and Stone exterior. You will love the huge kitchen with prep island that opens to large Great Room. From there step out to the lush backyard to enjoy a picnic on the patio. Yard is fully fenced with vinyl fencing and shaded with mature trees. Pamper yourself in the large Master Suite (12'8 W X 20 11 L), attached master bath with garden tub and separate shower. You will notice how spacious the place is from the moment you walk in. " "Quiet cul-de-sac with a fully finished home, fully finished yard, with a fully finished fence. New pebble deck and no back yard neighbors. Sprinkling system and the shed already put in as well. Very open floorpan. " 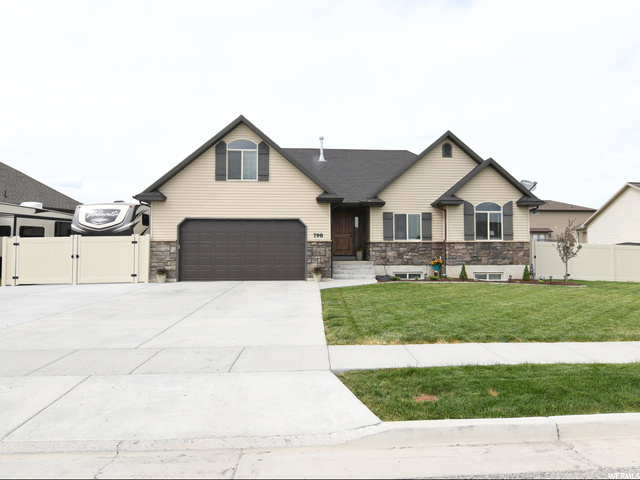 "**You are going to LOVE that extra Large Tandem Garage** Gorgeous new home that you Customize to Your style. (Currently at Framing Stage) BUILDER UPGRADES PACKAGE INCLUDED. You will get to select your GRANITE counter tops, Two Tone Paint, LVP in kitchen and baths, carpet, Custom Cabinets, Brick and Two Tone vinyl siding on the front. Exterior will feature part Brick and vinyl siding on the front and Vinyl on remaining 3 sides. Many of the Included Features in this house are considered costly upgrades with other builders. Call for the Included Features List to see all of the great details that will be included. Property taxes have not been assessed yet. 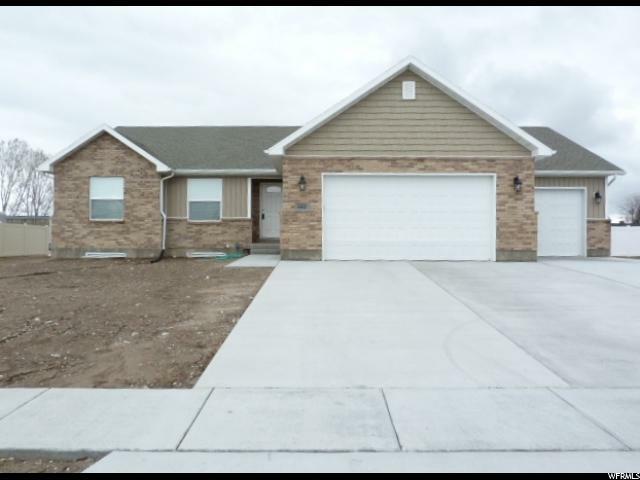 **Home qualifies for USDA Rural No Down Payment loan** Estimated completion date is June 30, 2019. Sq ftg is approximate -buyer to verify all information. REALTORS-Read Agent Remarks!!" "Who Loves a Front Porch to Sit and Relax with a View of the Mountain? Gorgeous new home that you Customize to Your style. (Currently at Framing Stage) GREAT BUILDER PACKAGE WITH UPGRADES INCLUDED. You will be able to select your GRANITE counter tops, two tone paint, LVP in kitchen and baths, carpet, Custom Cabinets, Rock/Stone and Two Tone vinyl siding. 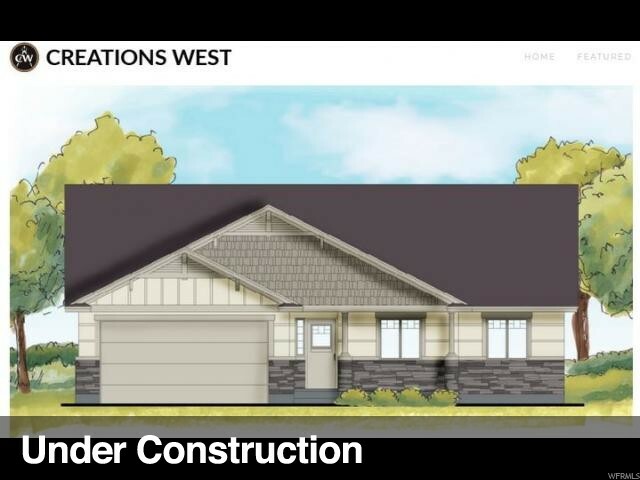 Exterior will feature part Rock/Stone and Two Tone Vinyl siding on the front and Vinyl on 3 sides. Many of the Included Features in this house are considered costly upgrades with other builders. Call for the Included Features List to see all of the great features. Property taxes are assessed on lot only. 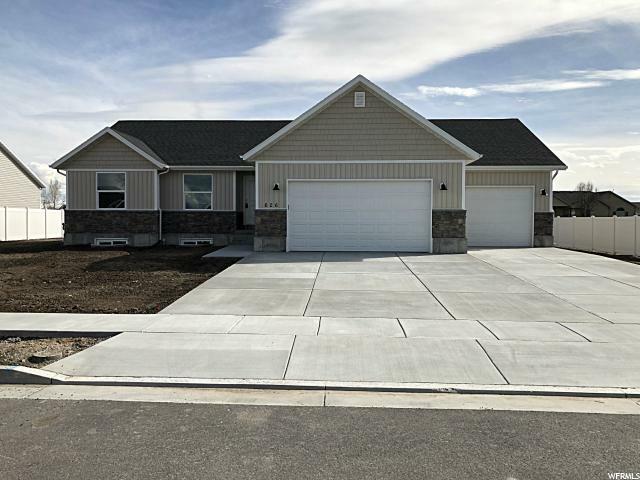 *Home qualifies for USDA Rural No Down Payment loan* Estimated completion date is July 30, 2019. Sq ftg is approximate -buyer to verify all information. REALTORS-Read Agent Remarks!!" "CHARMING brick 3 level centrally located. RARE GEM includes a 1 bed 1 bath guesthouse! New flooring, tons of storage, RV parking. DESIRED quiet neighborhood w/ mature trees near Library park & close to everything. Raised garden beds in spacious backyard area. Guesthouse has alley access + parking. Perfect for student, aging parent or extra income! Take advantage of this rare opportunity. "